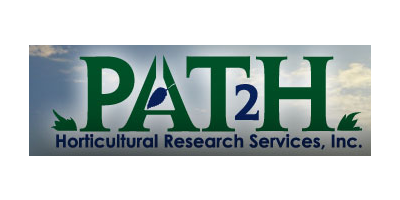 PAT²H Horticultural Research Service, Inc. is an agricultural research company located near Atlanta, GA. We specialize in consumer and professional horticultural, nursery and turfgrass related products. Collectively, we have 90 years of research, business and teaching experience focusing on turf, greenhouse and nursery crop management. We also serve the vegetable, small tree & fruit, shade & ornamental tree/shrub, and transitional warm and cool season turfgrass markets. We do extensive testing on new and standard fertilizers, weed control products, insecticides, fungicides, potting substrates, mycorrhizae and bacteria products related to plant growth. Our goal is to provide you with accurate and timely statistical documentation and photographs to help promote your marketing efforts. We hope you will find our services to be outstanding and exceed your expectations. Our research team is dedicated to serve your company's individual needs with quality. Please take a few moments to browse through our website and feel free to contact us if you have any questions regarding our company and/or what we can provide for you. Thank you for your interest!